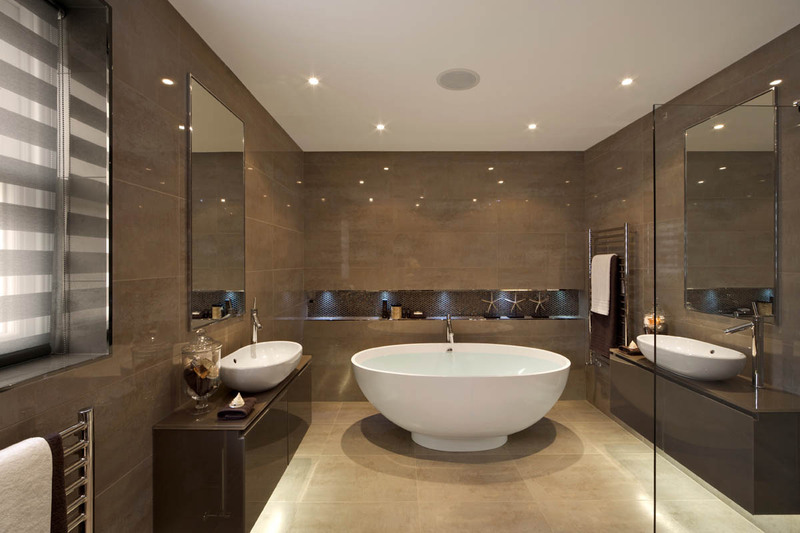 There are many reasons as to why you might want to renovate your bathroom. Whether it is to add money to the house, or if it is just to get rid of that old bath you’re tired of looking at. Whatever the reason, the whole process may seem daunting so below we have listed the 4 main steps that are needed to get yourself the new bathroom you’ve always dreamed of. How much to renovate a bathroom? Prices very much depend on the size of your bathroom and what type of materials are needed. However, if you’d like to phone us, we can find out exactly what it is you need done and will be able to give you an affordable quote. Electrician – The first stage of your bathroom renovation is to have your electrics safely in place. This is where you need to consider the following; what lighting fixtures you would like to have? Making sure your light installation is outside the damp and wet locations of the room etc. It is also important to many people today to include a ventilation fan in your bathroom in order to help reduce the moisture and any potential odours. Looking for a professional and affordable electrician in Bexley? Pavey Electricals Ltd is legally certified and insured to handle both Domestic & Commercial electrical inquiries. Plumbing – Whilst walls are still bare, and the floor hasn’t been laid, the second phase to renovating your bathroom is the plumbing and making sure all water lines are running smoothly and safe. This includes drainage rough ins put in place which are to be connected to the main pipe, usually found underneath the floor. There are many laws and regulations which much be obeyed when doing this which is why you must have this carried out by a professional licensed plumbing firm. Plastering – Once the electrics and water lines are all safely in place, the walls and ceilings can be plastered. This is the part of the process where you gain your silky-smooth walls and ceiling. This job can also become very messy especially if adhesives are needed before applying the plaster which is why it is always recommended using a professional to carry out this stage. Once the plaster has been applied it is important to wait for it to be completely dry before tiling or painting. This very much depends on how much airflow passes through the room, the size of the room, and how much sunlight the room receives. Need a professional plasterer in Kent? Rays Plastering Ltd is offers plastering, coving and plaster-boarding services. Tiling – When it comes to installing a new bathroom, tiles are said to be the best material that can be used, whether it is for the walls or the floor. There are so many options to choose from including porcelain, ceramic, mosaics, stone tiles and more. You can do this before you decide on what colour and size you would like to go for. For a professional and affordable tiler in London, CMD Ceramics are London’s #1. Offering a variety of plastering services including skimming, boarding and coving across Kent and South East London. Contact us for any questions & queries you may have or also to receive a quote. © 2019 - Rays Plastering Ltd. All rights reserved.